The medical field is popularly called the magical field but sometimes the magic is not enough. No matter how much medical sciences have advanced, there are always some diseases and the medical conditions that can not be cured. Lamellar ichthyosis is also one of that rare disease. The skin cells of the person suffering from this disease first shed then grow back. 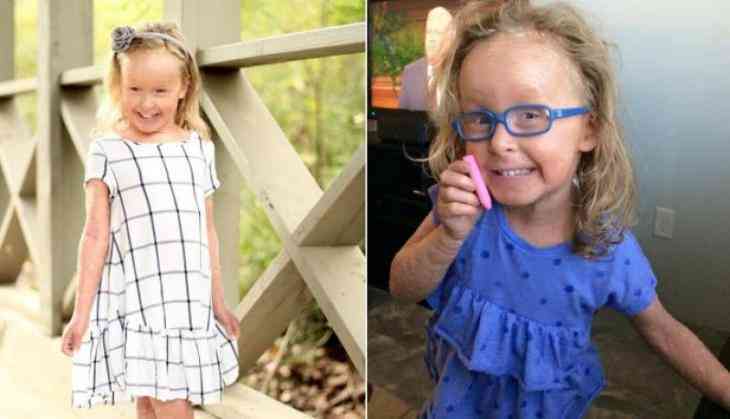 Hanna Barrott is a very special child because she has a very rare disease due to which she shed her skin like a snake but her skin instantly grows back. Not only this, but Hanna Barrott can not even afford to sweat because her glands are blocked by the skin and that causes her to faint. The parents of the child, Megan and Tyson are forced to vacuum dry skin in their house, so that she does not get any infection on her sensitive skin.